Do you remember your first real best friends? Were you lucky to have just one, or two, or three? I remember having one at Miss C's age. We used to go swimming together and make cakes (a mess) together, but when we came into double digits, we both moved to different countries. After that, we gained new best friends, and I guess that has been the way since, but you will always remember the first one you giggled with, played clapping games with. Miss C is lucky to have two at this point in her life; both are in her class and on the school bus home. It's sweet to see how they play together and support each other, even at this young age. She has told me that one will be leaving at the end of the school year and moving out of the neigbourhood. This will happen again, especially since we live in such a transient city. 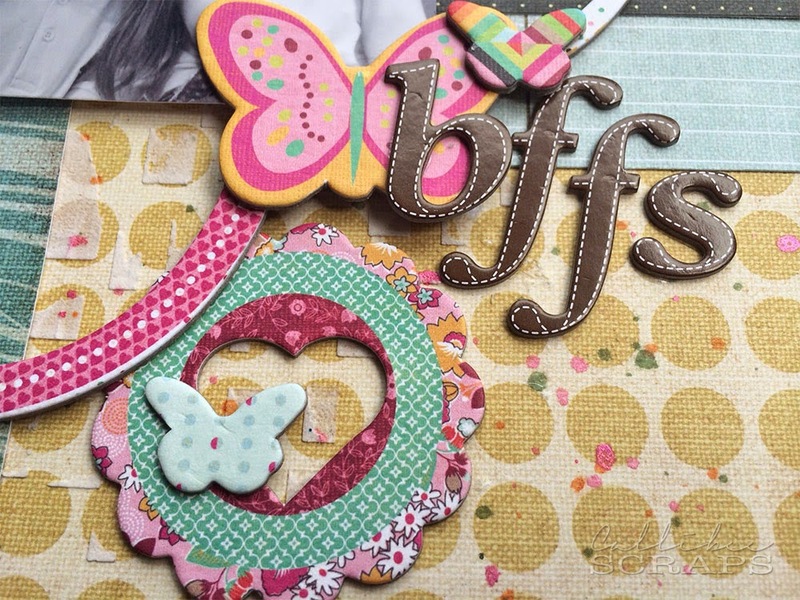 How fun to have some BFF accents that came in one of the MCS kits. I stenciled some modeling paste over a grid mask before splattering the paper lightly with some spray inks. 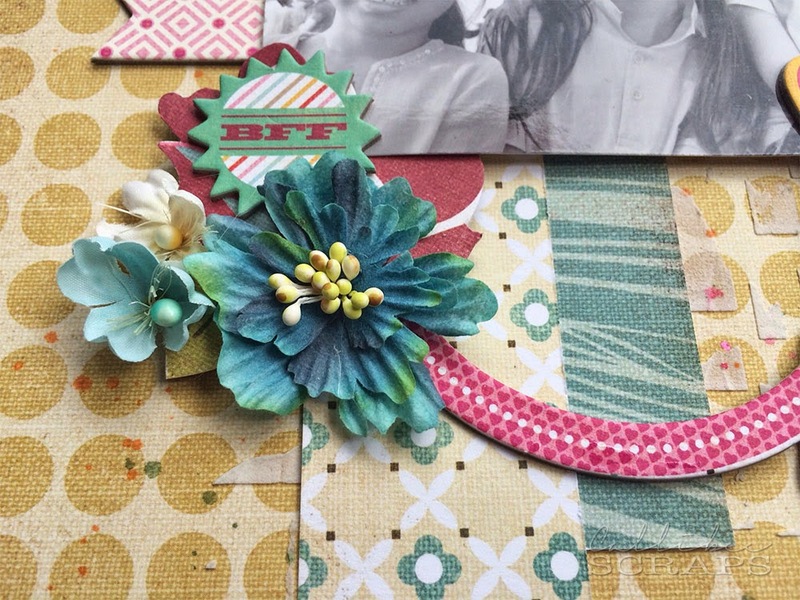 I only wanted a small smattering of flowers on this layout, so broke down a larger flower to the size I needed. 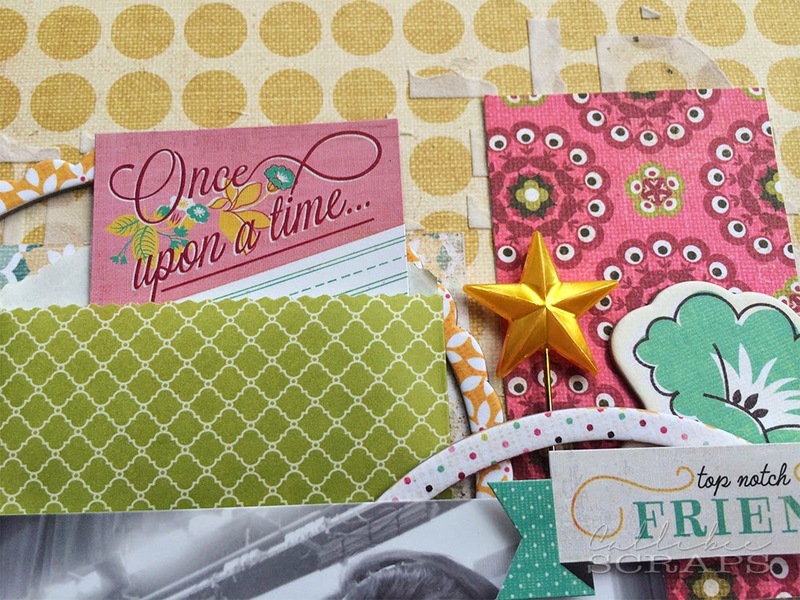 I split up a ring of chipboard stickers and staggered them on my page. Love the patterned butterflies. I'm loving all the paper bags a lot of brands are coming out with now; great for holding journaling cards.